A beautifully appointed guest suite with a double bed looking out to Lake Taupo and native trees. 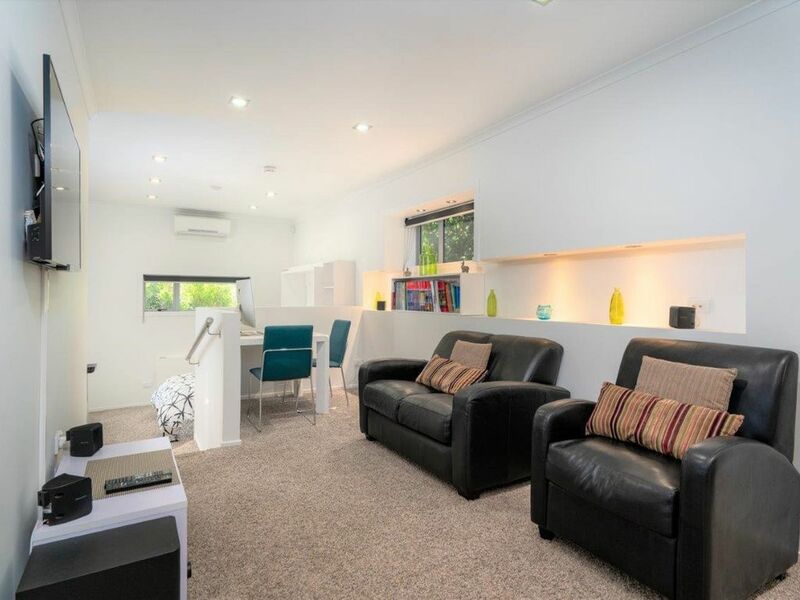 The open plan lounge has a television, couch and dining area. The kitchenette has a mircowave ,dishwasher and fridge. The bathroom is very modern with a fully tiled walk in shower. The apartment is private and quiet with own entry and parking. Ideally suited for a couple. Linen provided. Access to a shared laundry if required.